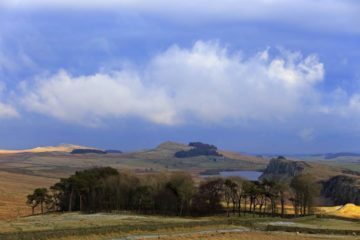 A winter's evening at Steel Rigg and the bottom of Peel Crags on Hadrian's Wall in Northumberland. 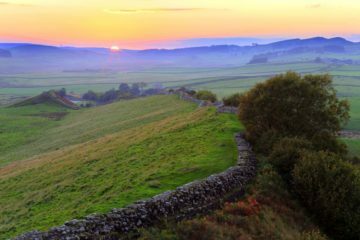 The Wall, turret, and Peel Bothy can be seen under the winter sunset. 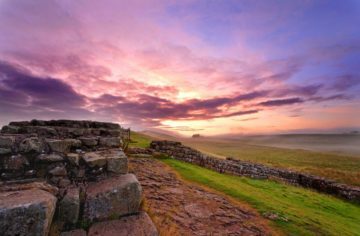 A winter dawn at Steel Rigg on Hadrian's Wall in Northumberland. The well located Peel Bothy is available as holiday accommodation through the National Trust. 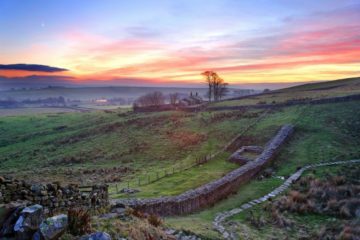 A winter dawn at Steel Rigg on Hadrian's Wall in Northumberland. 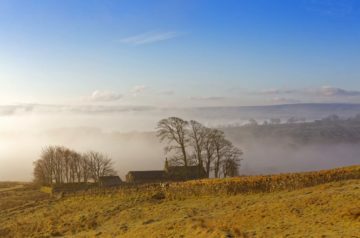 To the south the land drops quickly to the River South Tyne often creating a temperature inversion. 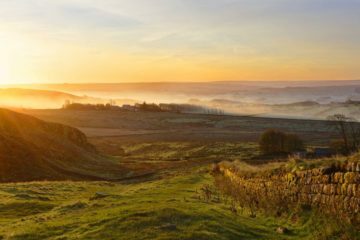 A late autumn dawn at Steel Rigg on Hadrian's Wall in Northumberland. To the south the land drops quickly to the River South Tyne often creating a network of low lying mist. 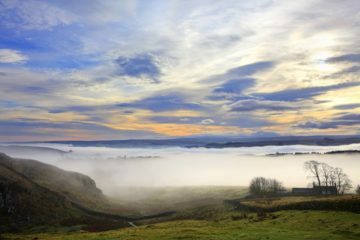 A highly textured winter sky above a temperature inversion over the River South Tyne seen from Steel Rigg on Hadrian's Wall in Northumberland. 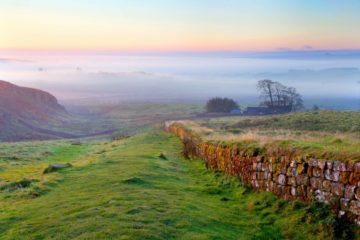 An autumn morning at Steel Rigg on Hadrian's Wall in Northumberland. The mist often comes and goes and ebbs and flows. 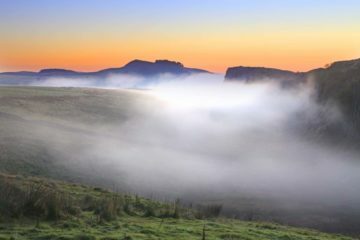 Peel, Highshield and Hotbank Crags can seen above the mist. A winter day on Winshield Crags with the iconic view of Peel, Highshield, Hotbank and, sunlit in the far distance, Sewingshields Crags. Crag Lough sits serenely in the middle distance. Cawfields Crags on Hadrian's Wall in Northumberland curves into the setting autumn sun. 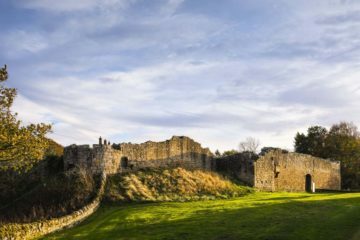 The Nine Nicks of Thirlwall can be seen in the distance. 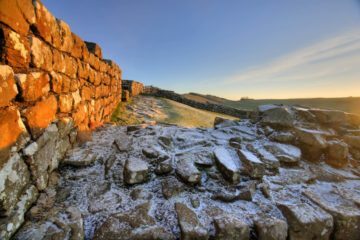 The remnants of light overnight snow on the wall of Milecastle 42 at Cawfields Crags on Hadrian's Wall in Northumberland on a frosty, sunny winter morning. 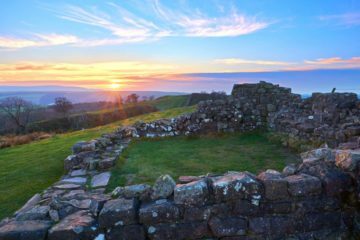 Milecastle 42 at Cawfields on Hadrian's Wall in Northumberland lies at the bottom a long slope so the sunrise is delayed and frequently never develops. On this morning it most certainly did.